Do you need to get back your natural health? Want to learn from a naturopath with supreme health? Naturopathy is simply natural medicine in which the naturopath focuses on helping the body utilise its own natural healing abilities. Naturopaths are trained in many aspects of natural medicine including natural medical sciences (anatomy, physiology, biology, biochemistry, diagnostics), prescribing, physical examination, urine and blood test analysis, diet, herbal medicine, minerals and essential oil prescribing, massage, nutrition, counselling, and iridology. As naturopaths we consider the patient holistically so we look at many aspects of their life that have bearing on their wellbeing. We believe in supporting the body and assisting it to tap into its own healing abilities that have been built up over millions of years. We also offer limited skype consultations for people who are unable to travel to our clinic, including all countries except North America and Canada. You can book your remote consultation by telephone our clinic. 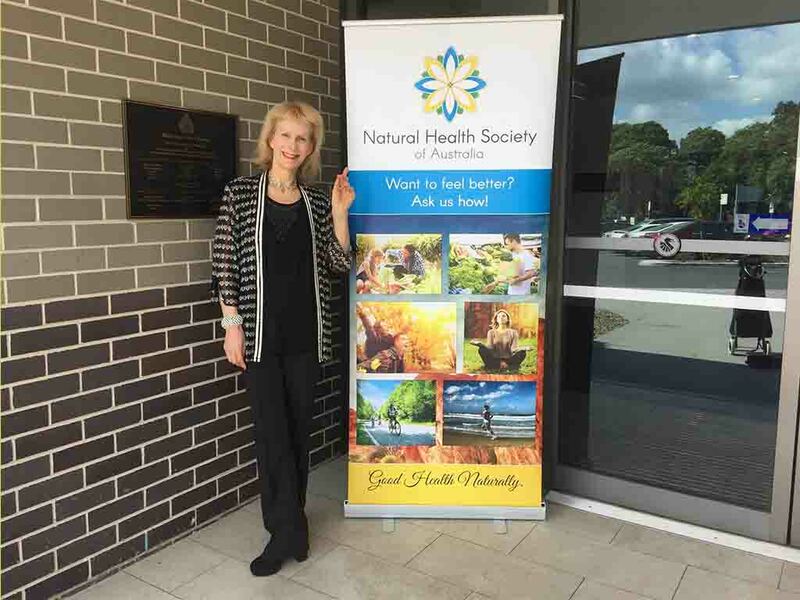 Dr Tracie O’Keefe DCH, BHSc, ND, presenting at the Natural Health Society of Australia on 23 September, 2018, about How to Use the Power of Mind for Health. Many people visit naturopaths not only to get over illness or disease but also to help them to maximise their health and wellbeing. The best life is always one where the person is as healthy as possible, enabling them to enjoy the good things in life. You may visit a naturopath at any age, whether you’re a child, adult, pregnant or as a senior, whatever is the right time to improve quality of life. A naturopathic consultation consists of taking a case history, asking questions about the person’s problem and situation. Treatment may consist of physical manipulation, dietary advice, health and exercise advice, prescribing of herbs and minerals, and psychological help. Remember, naturopathic medicine is all about supporting the body’s natural abilities, promoting wellbeing and propelling people to good health and wellbeing. What conditions can our Sydney naturopath, Dr Tracie O’Keefe DCH, BHSc, ND help with? Plus many more day-to-day physical and psychological problems, along with helping you in promoting your health to its optimum level. *Many factors will be important in determining your actual results and no guarantees are made that you will achieve results similar to anyone else’s. Because of the diverse nature of the human body and mind, and the requirement on the part of each individual entering naturopathy treatments to carry out any additional recommendations outside the session, including changes to diet and lifestyle, no guarantees can be made of results. 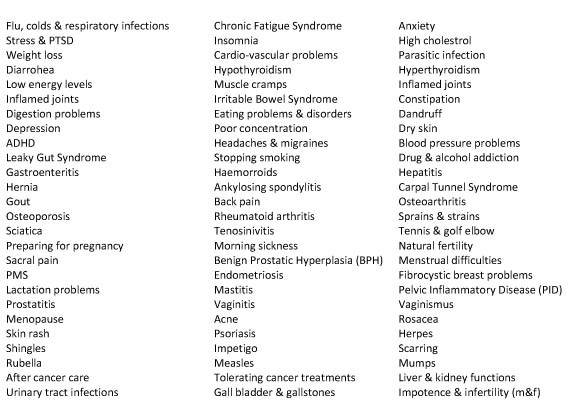 Medical conditions are complex and may be subject to a range of ever-changing variables. Can I claim for treatments on my private health fund?